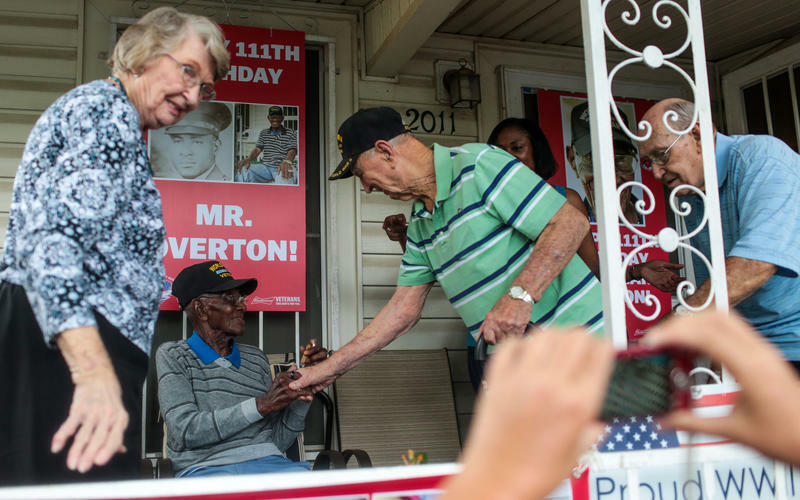 Overton was born in Bastrop County in 1906 and enlisted in the Army in 1940. 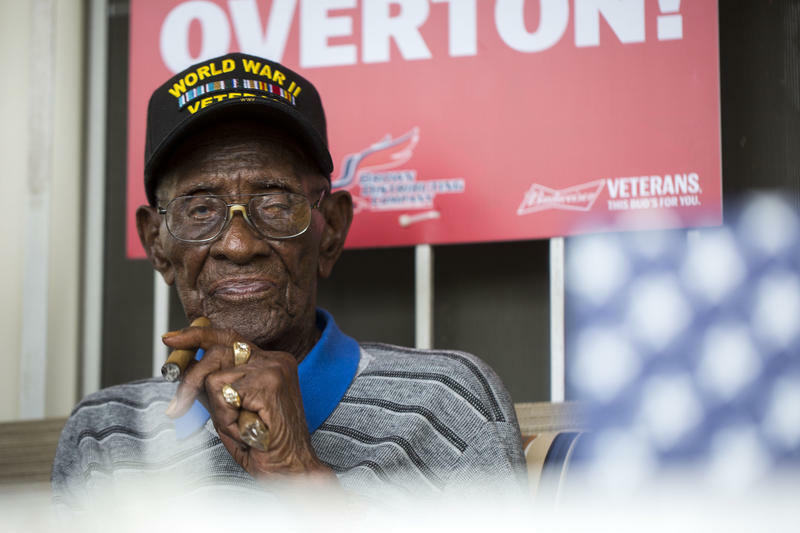 He served in the South Pacific from 1940-1945. He left the Army in 1945 and eventually settled in Austin, working for a furniture company and later the Texas Department of the Treasury. 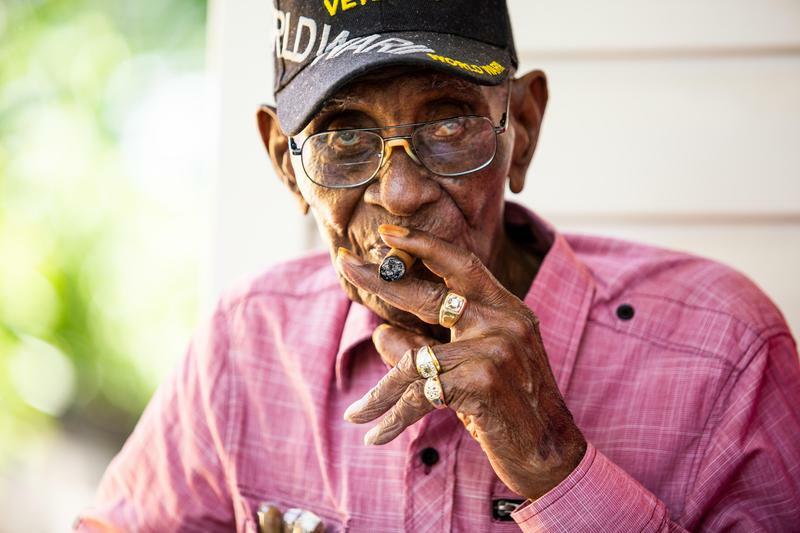 Overton still smokes his favorite cigars, Tampa Sweets, every day while sitting on his porch. 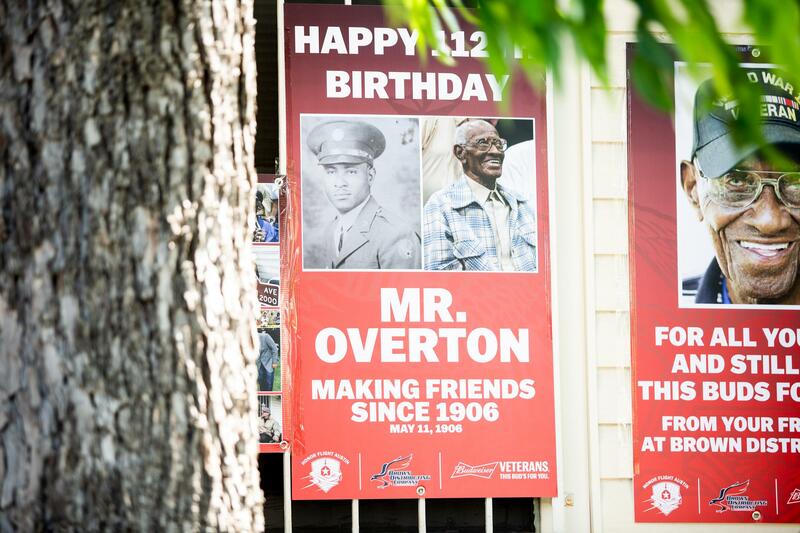 A birthday party will be thrown for him at his home on Hamilton Avenue today from 4 to 7 p.m. 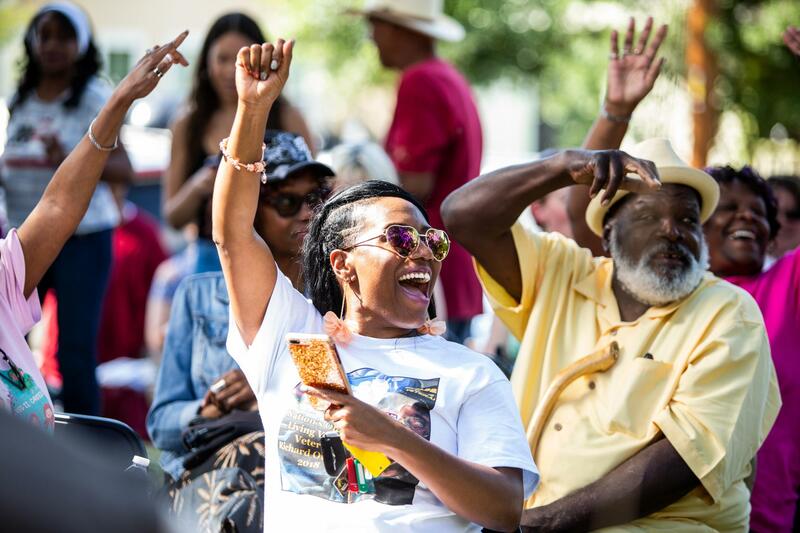 The celebration is open to the public. 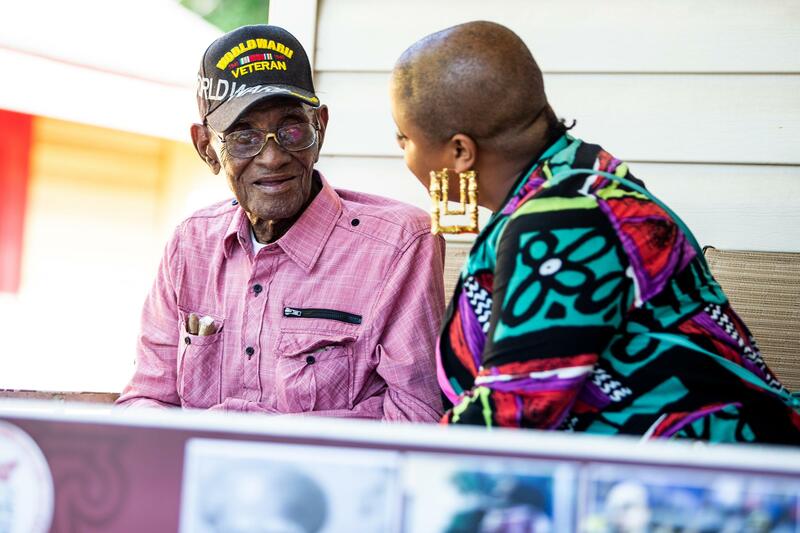 Qi from Riders Against the Storm sits with Overton on his front porch.